Dan Gengler spent more than forty-three years providing service to our country as well as many state and local organizations in a variety of roles. He served 26.5 years with the Milwaukee Fire Department in positions ranging from firefighter to chief officer. 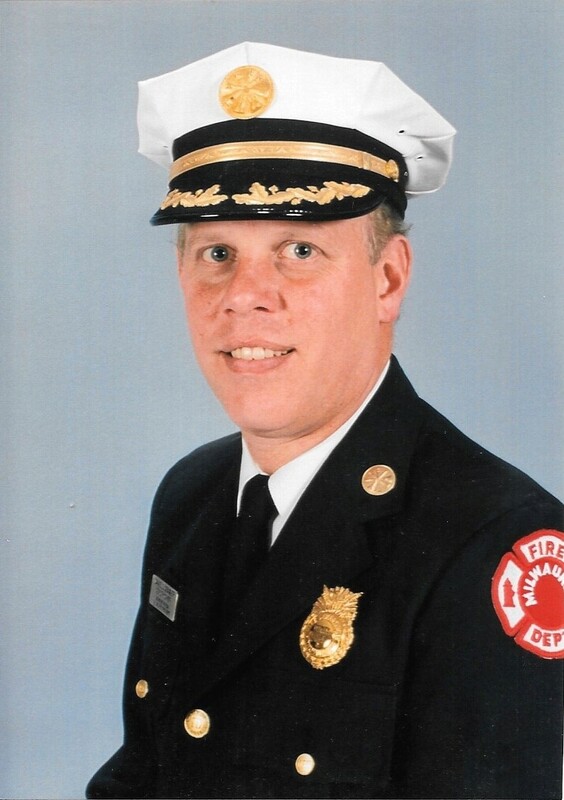 He was the Chairperson of the Wisconsin Alliance for Fire Safety for 24 years and spent 13 years as a regional manager for the National Fire Sprinkler Association. Dan also served four years as an emergency responder for the United States Coast Guard. Dan’s career spanned three decades of fires that included many fatalities and injuries to both citizens and firefighters alike. Witnessing death, pain, and suffering of burn survivors first hand gave Dan the incentive to begin a fire, safety and survivor program throughout the state of Wisconsin. He earned Class "A" Team and Class "B" Meritorious Awards for on and off-duty rescues. He helped establish the Wisconsin Alliance for Fire Safety (WAFS) Summer Camp for Burn Injured Youth, a.k.a. “Burn Camp.” As of 2015, this camp has provided more than 1,400 camping experiences to young burn survivors. His work with the National Fire Sprinkler Association and the WAFS has promoted the value of automatic fire sprinkler protection. He has testified for state legislation to support fire sprinklers in Wisconsin, Illinois and Pennsylvania. He was an annual presenter for fire and burn safety at the Wisconsin State Fire Chiefs Association and Wisconsin State Fire Inspectors Association. He has also given many presentations to numerous organizations promoting the concepts he strongly believes in. Through Dan’s many efforts and accomplishments, Wisconsin is a safer place to live.